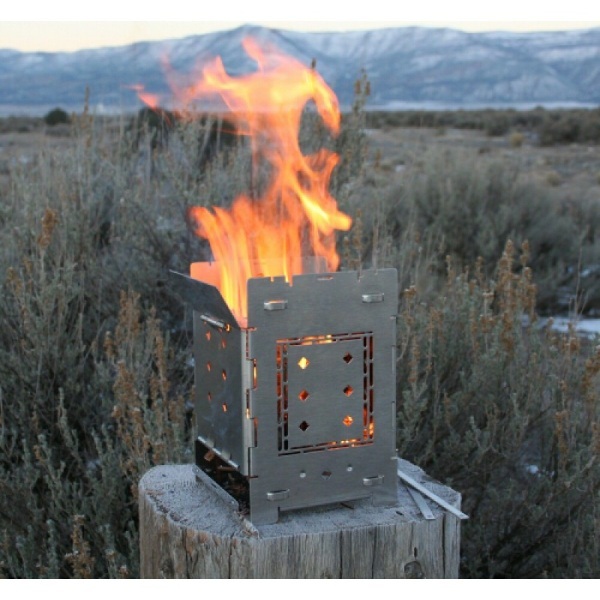 The Firebox is a folding campfire stove which makes it really easy to transport. It’s made from stainless steel and weighs about two pounds. Very portable which is perfect for outdoor excursions. The other high point of this stove over other camping choices is that this one is designed to burn just about anything. Bring your own fuel or just forage for wood from the woods, whichever is perfectly fine. Technically, you don’t even have to go camping to use this. You could use it as grill in your backyard. It’s small and breaks down meaning if you don’t have much space, this is an option that is easily stored when not in use (like the entirety of winter). This little stove is an easy outdoor cooking solution for any occasion. The Firebox 5” Folding Campfire Stove is $67.98. Little pricey for what it is. At $70, I would at least expect it to be titanium.